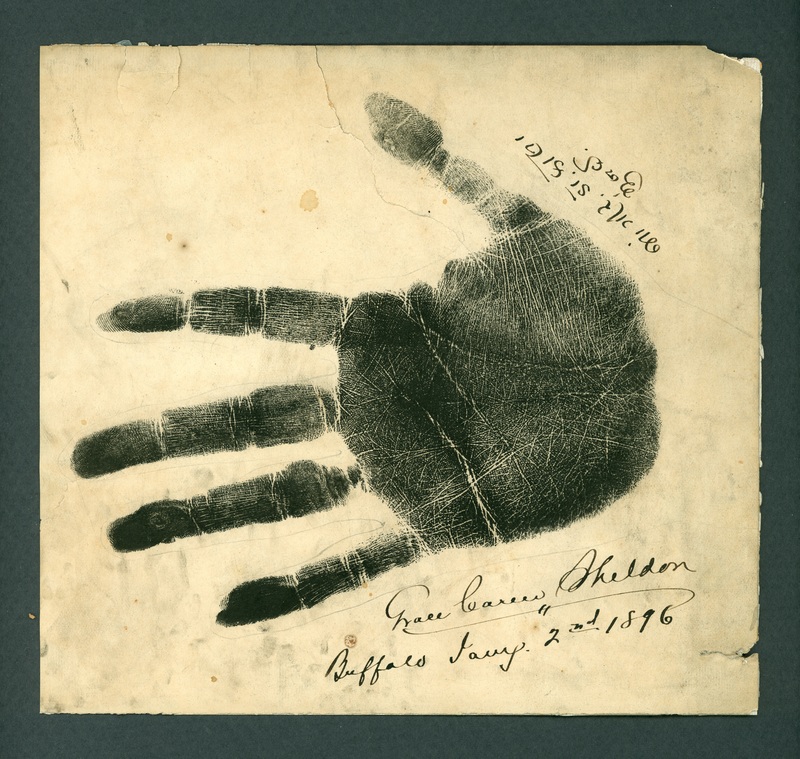 Although the hand itself provides the most "information" to the palmist, inked palm prints have often been used as an adjunct or substitute. Illustrated here is a palm print bearing a written name and date. It also bears an annotation in Hindi script. 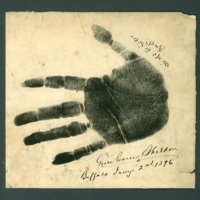 “Hand Print,” The Skeptiseum, accessed April 21, 2019, http://skeptiseum.org/items/show/421.